Edinburgh Architecture Centre : when will it be born? Maybe the Centre – or Centres – are already alive? For now (written 2002) Edinburgh Contemporary Architecture – www.edinburgharchitecture.co.uk – is Edinburgh’s Architecture Centre, or at least, one of them. Just as North Architecture is simply a website, so www.edinburgharchitecture.co.uk is essentially an Architecture Centre, albeit virtual. But so is the RIAS. And the RFACs. In today’s climate a physical presence is less important: the huge resource and forum of Edinburgh Contemporary Architecture makes it the primary vehicle for discovering Edinburgh’s Architecture, online. In 2005 we still have no Architecture Centre. This website runs news, events, forum and resource, we do frequent tours of the city, we explain the city to architectural visitors, essentially we are Edinburgh Architecture Centre – unfunded of course – until someone comes along and is serious enough to provide finance for a physical entity. 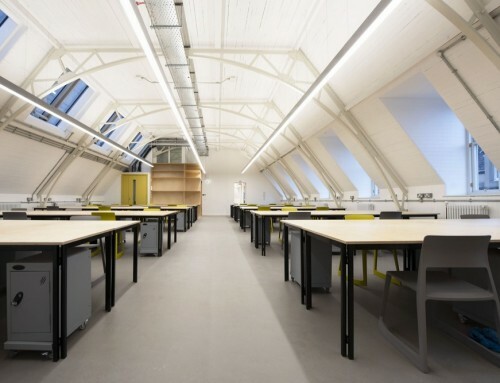 Again the RIAS move to a new building was announced with talk of a new Architecture Centre piggybacking. What has happened? Nothing. 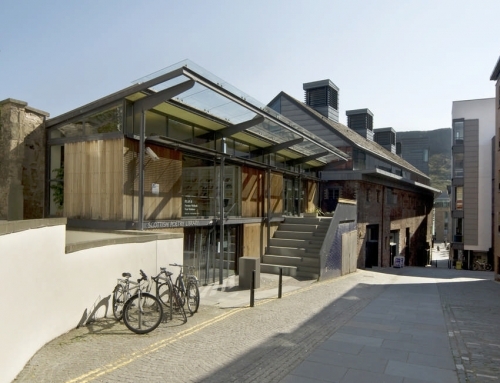 In 2003 Adrian Welch, director of Edinburgh Contemporary Architecture and Martin Hulse, director of the Cockburn Association hatched a plan for an Architecture Centre, titled the Patrick Geddes Centre. Before long the RIAS, EWHT and RFACs were involved, then Martin moved on. What has happened? Nothing. The RIAS propose a move to Jeffrey St, supposedly secret the news somehow leaks out. What has happened? Nothing. 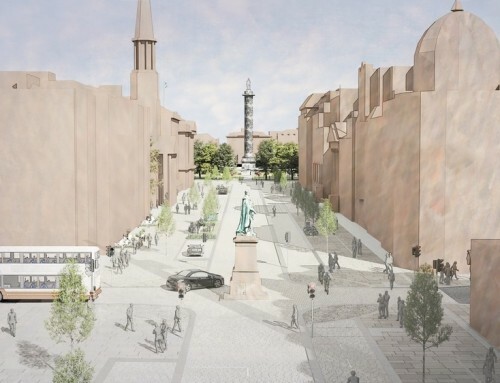 “Edinburgh backed its bid to become City of Architecture this week by confirming its intention to earmark a ‘key site’ for a dedicated centre for architecture and design”. AJ Sep 1993. What has happened? Nothing. In 1996 the Architectural review ran a competition for a Scottish Architecture & Design Centre, instigated by, you guessed it, Edinburgh City Council. AR 1176 / 1177 for annoucnement, AR1187 for winners – Narud Stokke Wiig. The Jury included major figures such as Itsuko Hasegawa, Giancarlo De Carlo. What has happened? Nothing. 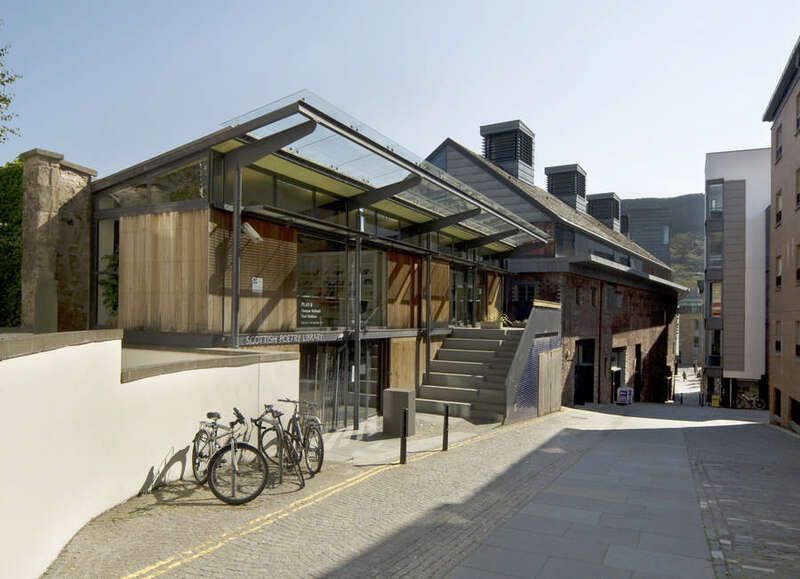 In October 2004 Building Design magazine, Edinburgh Evening News and the Scotsman reported that the RIAS were looking at an Edinburgh Architecture Centre. Having been involved in various discussions re this issue in the past – including with the RIAS – I waited to report this but strongly welcome the initiative. 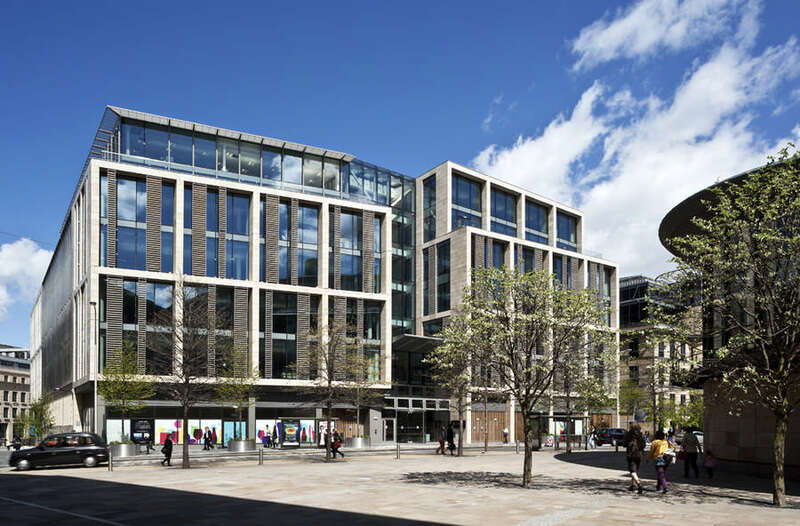 The RIAS Council reviewed an Option Appraisal study for a new building in the Centre of Edinburgh which would operate as the Edinburgh Architecture Centre. Within that, the RIAS would act as a hub or ‘Engine Room’, relocated from its 15 Rutland Square townhouse. The hypothetical brief called for public visibility and easy access to galleries and bookshop; meeting places and spaces for compatible organisations – some of whom might be attracted to co-locate; and, of course, facilities for RIAS staff and HQ functions. The figures were based on “an ambitious approach”, states Sebastian Tombs, but realistically priced. Capital (excluding site) in excess of £6m, and with an annual revenue deficit on outreach activities of between £250k and £300k. 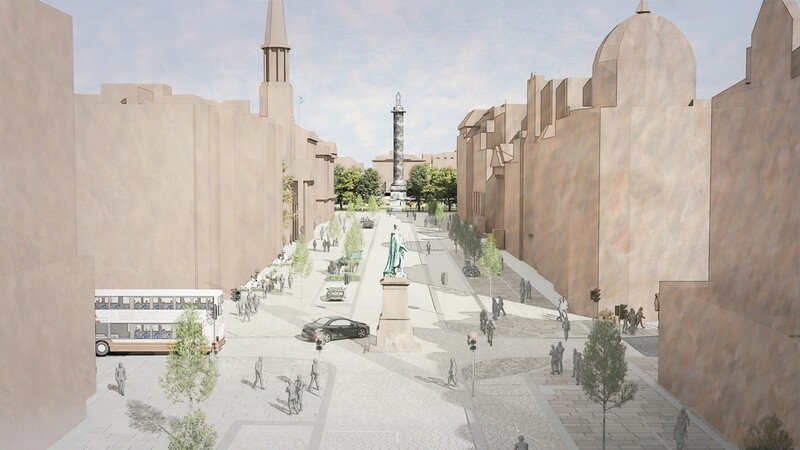 RIAS Council recommended commencing discussions re the Edinburgh Architecture Centre with the Scottish Executive and the Local Authority, and that action is now moving forward. Edinburgh Contemporary Architecture support the RIAS proposal and hope that a broadly inclusive but energetic centre can be created that talks to non-architects as well as architects, that reaches out to tourists and passers by. Herbert Coutts introduced Peter Davies, Consultant for VACs, and architect Malcolm Fraser, a member of the strategy steering group and facilitator for the meeting. H. Coutts gave background to the Visual Arts & Crafts Strategy: The City of Edinburgh Council published a Cultural Policy in 1999, which listed 11 Strategies to be commissioned and produced by the Council. He stressed that both the Cultural Policy and the strategies are city wide rather than specifically City of Edinburgh Council documents. To foster public interest in architecture and the built environment as an aspect of the visual arts throughout all areas of the city. The purpose of this meeting was to hear from Edinburgh’s architectural community what issues are important and relevant to them. H. Coutts would like a response from anyone who wishes to contribute. All information is collated and sent to Peter Davies. Peter Davies then outlined the process and purpose of the strategy. It is a framework for policy within the visual arts and will deal with future funding priorities, the profile of visual arts within the city. P.Davies wanted to thank architects Sutherland Hussey and Malcolm Fraser for advice and information to date. P.Davies also wanted to clarify that for the purposes of the strategy we are dealing with architecture as an aspect of the visual arts, eg. such issues as presentation, promotion and dissemination. The draft document will be presented to the steering group in early October, then go out for consultation and feedback. Architecture’s relationship to Institutions, eg. CEC, Higher Education. Working with the Education Department to reach future constituents. P Wilson: The above points are generic. The strategy needs to look at what makes Edinburgh different as a capital city. P Wilson: Should we be adopting the National Policy if funding is not available to implement it? S Tombs: Should we be looking at what city policy is, the city itself and where Edinburgh can lead and influence. It is important that the strategy speaks with one voice. Collective ownership is important. Architects need a single response from CEC on any issues raised. H Coutts wanted to mention the existence of the Cultural Partnership which is chaired by CEC but made up of different agencies. O. Chapman: What will the strategy produce? One of the concrete things would be an architecture champion or tsar. A similar suggestion has already been made by Councillor Trevor Davies. N. Simpson: Architecture champion would be someone with political power that relates to real work. Someone with access to the money and resources available. S Tombs: Similar people already exist in England eg. David Thorp(e), Civic Architects, Leeds. P Wilson cites the example of European cities which have a Professor of Architecture, combining political and academic power and influence. H Coutts mentioned the CEC Festival Strategy. One outcome of this was the appointment of a festival and events champion who is Cllr Steve Cardownie. S Hajducki: One role for an architecture champion would be a concern with improving quality of planning applications in the city. But one person can’t deal with such a wide range of issues. A high profile appointment is needed, but a second person is also required to deal with practical/day to day issues. M Fraser: Concerning the level of design for schools and other public buildings, discussion needs to take place about responsibility for building stock in Edinburgh. R. Griffith: Suggests that rather than architecture champion, the role is that of ‘Champion of the City’s Architecture’. The establishment of an Edinburgh Architecture Centre was part of Edinburgh’s bid for the Year of Architecture & Design in 1994. The creation of the Lighthouse as Scotland’s National Centre for Architecture & Design has moved the debate forward and it is important that any centre in Edinburgh doesn’t duplicate the role and functions of the Lighthouse. An Edinburgh Architecture Centre should be an information point with access to what’s happening in the city. It needs to be practical and achievable as a project, not necessarily having exhibition space. S Hajducki: A good example is the Arsenale in Paris, which displays a map of the city showing developments and new buildings projects. 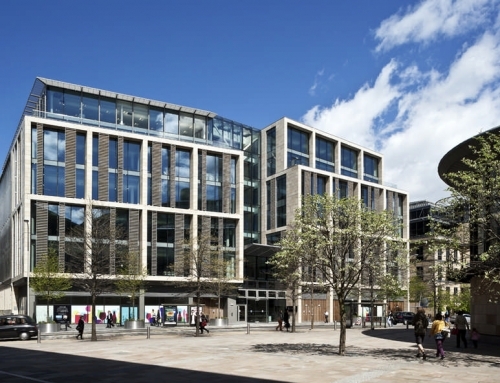 The council of RIAS have approved a move from the building in Rutland Place. S Tombs: RIAS supports the idea of partnership working in the development of a new centre, engaging with other organisations. S Hajducki: CEC supports the idea of an architecture centre. Tron Kirk on the High Street has previously been discussed as a site for an Architecture Centre. Ed. : today’s generation maybe are more perceptive to the possibilities of an Architecture Centre being non-physical, this just didn’t seem to be the case at this meeting but then any slow-moving organisation in Edinburgh that is involved in Edinburgh Architecture clearly wishes to be instrumental in such a Centre so power is not divested to the new generation of architects who will ultimately take the information and simply get on with it. P Wilson: Architecture Competitions are also important as means of re-establishing the democratic process. It’s also necessary to introduce a system for commissioning real projects and to look at the role of EDI in this. Also, CEC building stock should not just be seen as an economic resource. P Davies: Visual Arts as part of the Edinburgh International Festival is obviously one of the areas being discussed. The issues are whether the visual arts should be addressed through the existing festival or a new visual arts festival takes place elsewhere in the year. Architecture is part of this debate. S Hajducki: Edinburgh is a small city and should aim to be best rather than biggest in terms of its festivals. S Tombs: One issue is that festivals are about events whereas architecture is about buildings. Architecture could make a contribution to a number of existing festivals in the city. P Wilson: points out that an Architecture Festival is difficult to market. 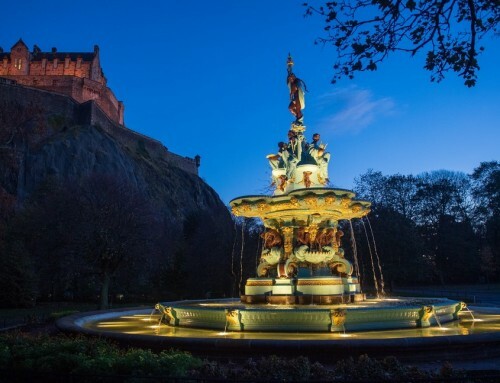 Edinburgh is a city of architecture with regular exhibitions and events, so why not co-ordinate and develop these existing resources. We should be aiming at an architecture policy that can be delivered by everyone. The way to do this is to use existing resources and build on these, eg. the success of Doors Open Day. A Brewster: Edinburgh doesn’t need another festival, it needs to communicate with general public. The question of whether a separate architecture strategy is needed should still be asked. H Coutts: architecture is a component of this strategy and needs to be considered in these terms. But it is possible to suggest, through Visual Arts + Crafts Strategy, that architecture needs more attention and perhaps a separate document. S Hajducki: City Development has the remit and responsibility for planning and for issues relating to the built environment, but the relevant areas of work do feed into the cultural strategy. M Fraser: The strategy needs to have deliverable objectives and it is important that the council speaks with one voice. H Coutts concluded the meeting by explaining that the draft strategy will go through the council system for discussion and endorsement by the senior management (Directors of all CEC Departments). It will also be presented to the politicians prior to adoption as an official document. He thanked everyone for attending.